Get hold of some plastic eggs that you can open up. Instead of adding chocolate (or maybe as well! ), write silly challenges on slips of paper and put them inside. You can adapt it to suit the age of your kids, anything from ‘touch your toes’ through to ‘Teach dad to dance!’. Get everyone involved with a relay race! Split your family and friends into two teams. One person from each team runs off to find an egg. Once they’ve got one, they return to their team and the next person can go. Each person can keep their chocolate eggs, but you could have an extra prize for the winning team to share! Rather than just having your kids look for the eggs, why not get them to hide them too? A great way to do this is to split the garden in half (or maybe front and back!). Have the kids hide eggs in one half and the adults hide eggs in the other, then swap over to find them! 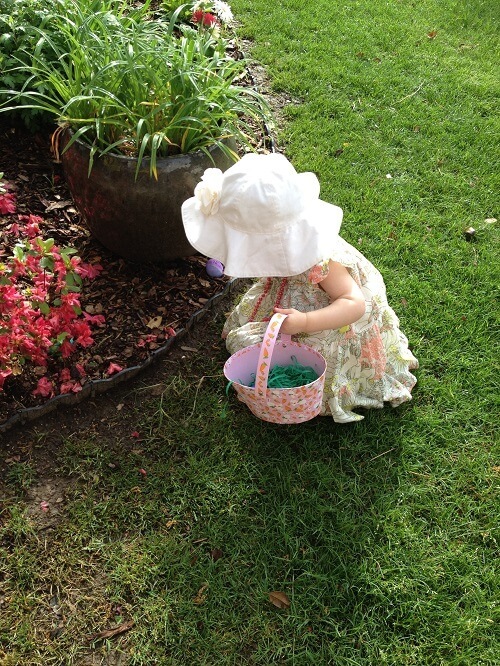 Kids really enjoy doing the hiding as well as the seeking, especially if the adults struggle to find all the eggs! This is a great one if you’re trying to limit the amount of chocolate consumed on Easter Sunday! Instead of hiding chocolate, get some reusable eggs and put a single letter inside. Your kids have to collect all the eggs to spell out the word for a prize, like ‘cinema trip’, ‘new toy’ or ‘laser questing’ -- whatever your kids would enjoy! Once the eggs have been collected, they have to rearrange them into the prize. You could do multiple prizes by using different coloured paper to spell each word. It can be a good idea to have a piece of paper to lay the word out on with a box drawn for each letter. That way, your kids know how many eggs they’re looking for. Write charade challenges on slips of paper and put them into reusable eggs. Get people into pairs to look for the eggs and each time they find one, they have to act it out to their partner. Only when the charade has been guessed can they add the egg to their basket. It’s a good idea to add little prizes in the eggs along the way and the pair with the most eggs at the end wins a bigger prize. Toddlers can need a little extra help with Easter egg hunts, so here are some fun ideas to help your toddler find the hidden eggs for himself. Use chalk on concrete paths in the shape of bunny footprints, or cut out some footprint shapes, and lay them around the garden to lead your toddler towards the eggs. If you use paper footprints, be sure to weight them down so they don’t blow away. Try tying balloons around eggs and leaving them on your lawn or in plant pots. They’ll make it a lot easier for your tot to spot -- and they’ll have a lot of fun with the balloons afterwards too! Instead of simply hiding the eggs and letting your little one find them, you could give them clues on pieces of paper. For example, you could print out a picture of a playhouse and give it to them. In the playhouse, they’ll find an egg and another clue, perhaps a picture of a swing, the dog’s kennel, the garden gate… whatever features you have in your garden that they’ll recognise. A glow in the dark egg hunt at night is a lot of fun! It works best with coloured plastic eggs. Put a glow stick or an electric tea light inside each egg and hide them around the garden when it gets dark. 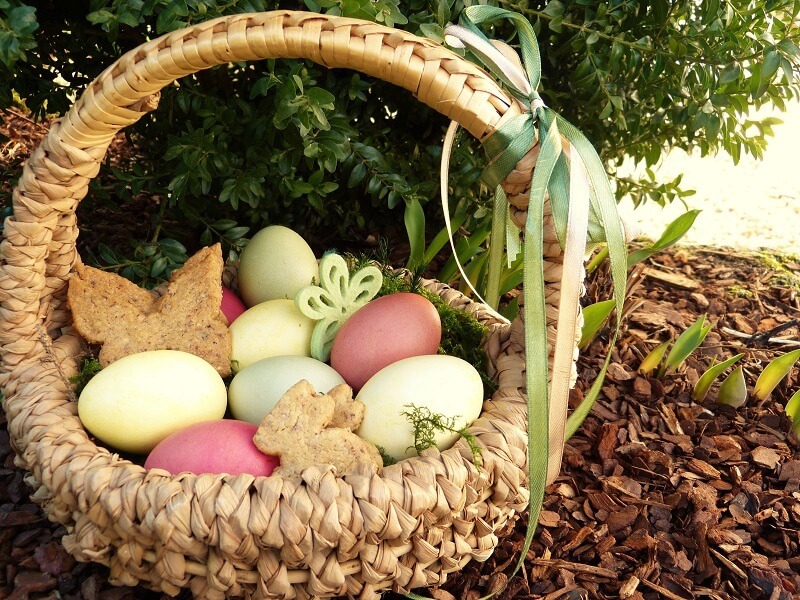 It’s a great way to make Easter egg hunts more exciting for older children and teens. Don’t forget to check what time the sun sets though!